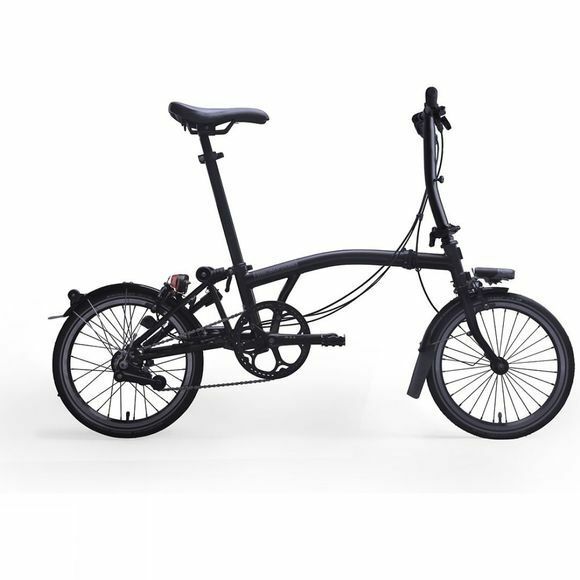 The Brompton S2L Black Edition 2019 is the iconic foldable commuter bike, now inspired by city life at night. 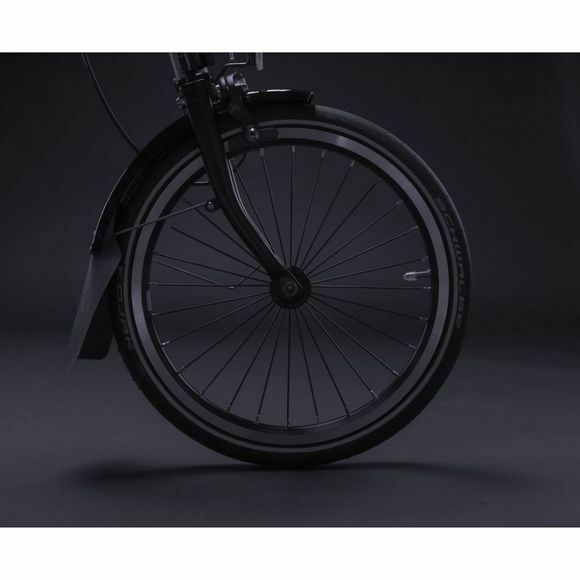 The Black Edition replaces the classic silver wheel rims, spokes and seat post with stylish black componentry. This popular edition still has all of the classic features that have made the Brompton loved by commuters around the world. The S-type handlebars on this Brompton create a sporty ride position, and combined with 2 flexible and lightweight speeds; one gear for hills and setting off, one for cruising. The integrated mudguards keep you protected from spray, even in wet conditions.